Property List Editor, PlistEdit Pro, etc. Thanks for always keeping this up to date. The requirements you wrote above say 10.9 or newer, but the "I" subheading says 10.13+. Is that a typo? 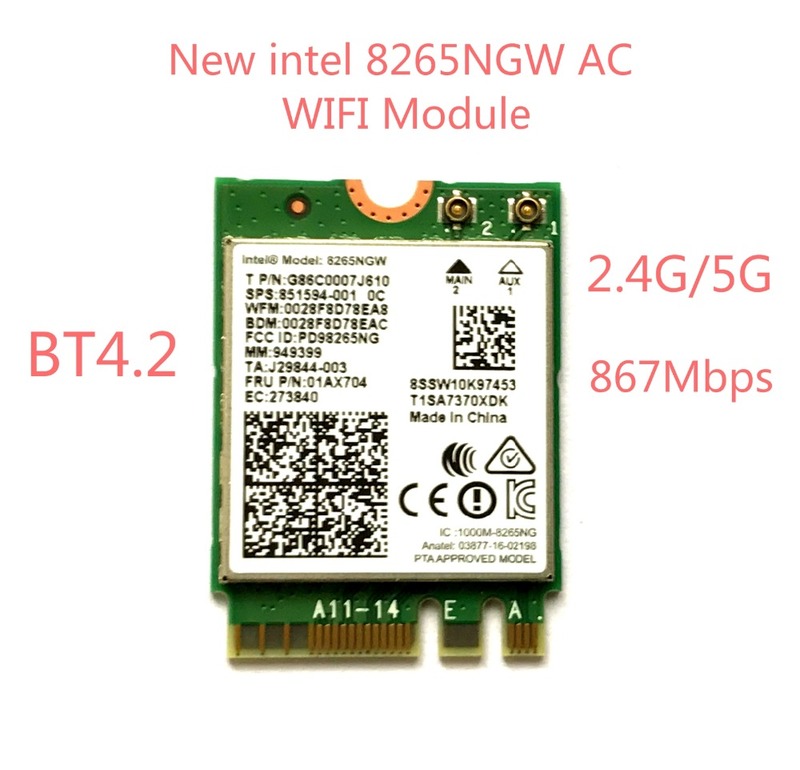 I used this successfully in 10.12.6 to get Wifi working with a BCM94352Z. But I'm curious, in Clover KextsToPatch, what is the difference between specifying com.apple.driver.AirPort.Brcm4360 instead of AirPortBrcm4360? In this case, the former works, and the latter does not. My motherboard came with this card, but I am not confident that I am selecting the right Broadcom based replacement. Can somebody tell me which flavor of M.2 this is? Does it matter? If nothing else can you point me to the Broadcom card option that will fit the same socket? I replaced it with this, which should probably fit yours as well (based on the notch). The requirements you wrote above say 10.9 or newer, but the "I" subheading says 10.13+. Is that a typo? what is the difference between specifying com.apple.driver.AirPort.Brcm4360 instead of AirPortBrcm4360? which flavor of M.2 this is? point me to the Broadcom card option that will fit the same socket? for $30 and BT+WiFi work perfectly OOB, no settings required in latest macOS (10.13.2). I'm having an issue with my BCM94352HMB/AzureWave AW-CE123H. I have the card working and recognized in macOS 10.12.6, however, the speeds for download are very slow. Download speed will max out at about 10 Mbps with upload speeding maxing out at nearly 70 Mbps. Problem reporting files should be attached, let me know if they are incorrect. Fixed with #a country code patch! With my Sierra 10.12.6 on dell 7669 with the BCM94352Z m.2 ngff card, My bluetooth often stop functioning after wakeup. Is this a know issue? And fix? Please help.